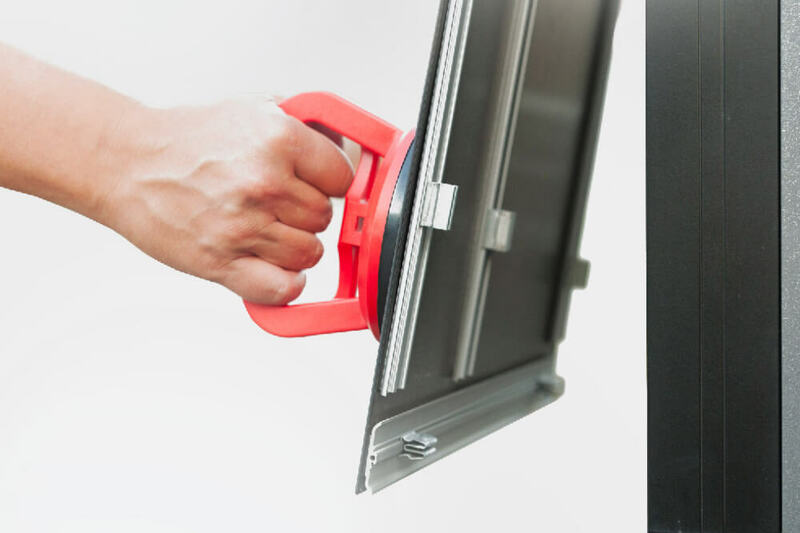 The multifunctional frame-system for all applications using textile or disc fillings. In the field of signage for pylons and plates without any viewable screw connections. In office implementations as acoustic-panels with textile cover and acoustic foams. 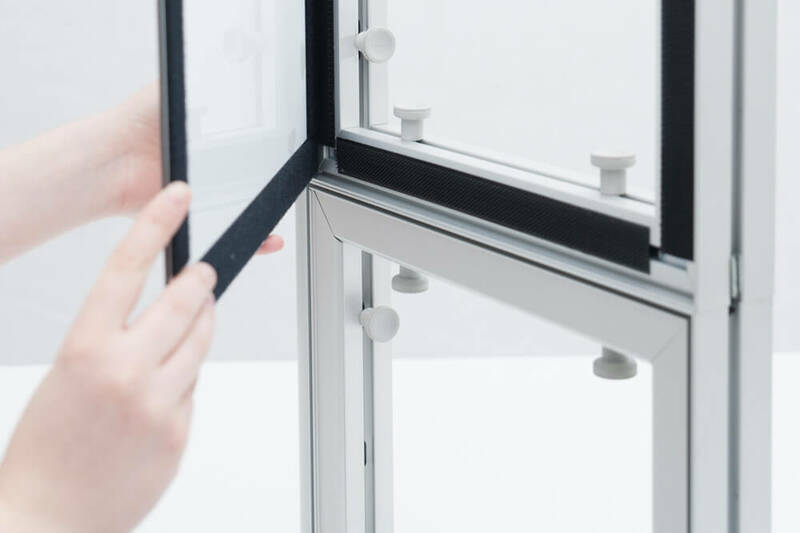 The most practical use for our AP_55 is the modular and fast mounting wall system for exhibition and shopfitting. Rectangular bar or semicircle corner profiles allow the building of large volume constructions with integrated roofs or doors flush with the adjacent areas. 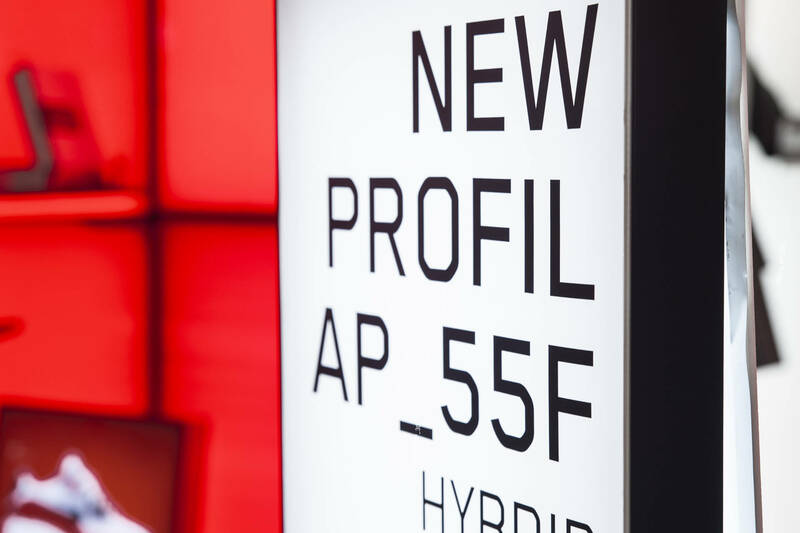 Profile AP_55F enlarges the modular frame system to one or both-sided light-frames. Perfectly integrated, as a single element or a free-standing stele. 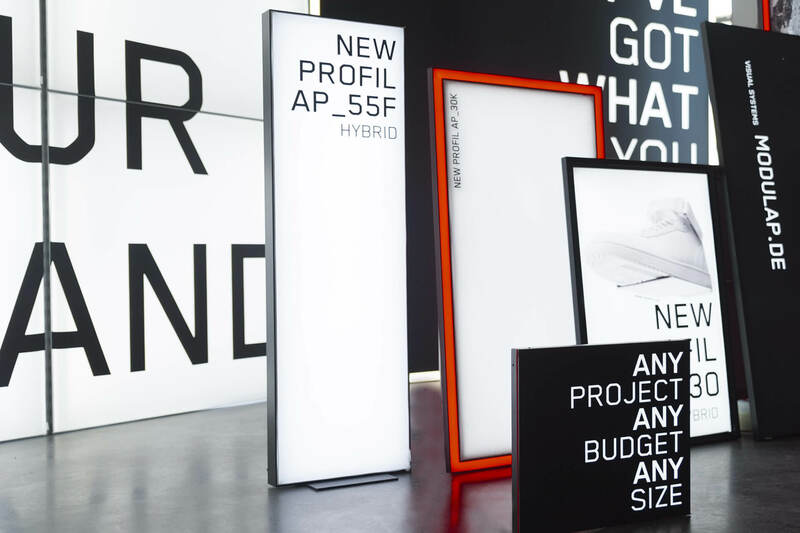 Illuminated by light-panel, AP_55F can be fitted with an textile filling or a plexiglass sheet. 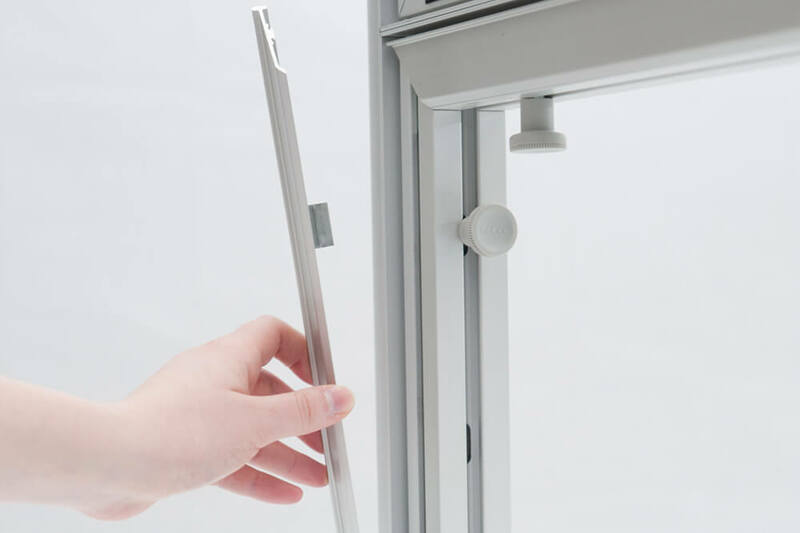 In spite of the slight broadness of the profile, large dimensions are possible by keeping the light distribution all over the surface of the panel. The option to use discs, or by using an additional profile, also textile covers with silicon lips, turns it to an allrounder. 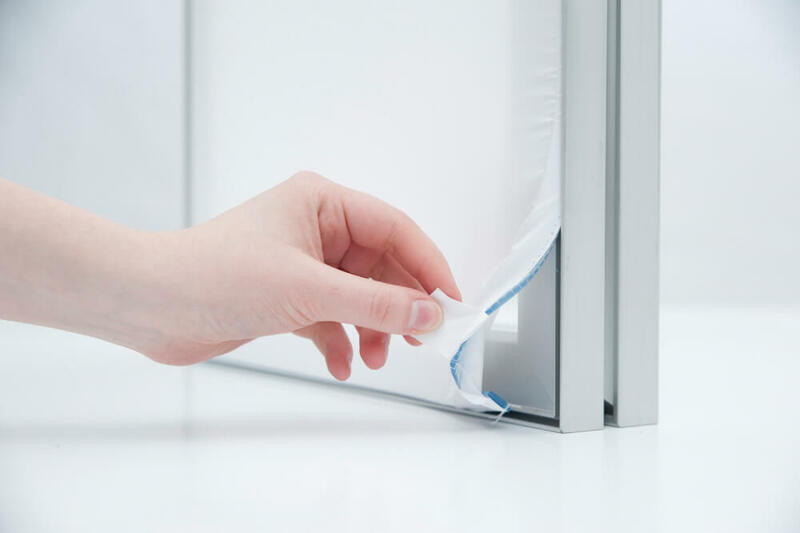 Panels can be fixed by Velcro tape on the back, or specially for outside use, also mounted with a backside equipped click-system. The system nut on the side can be closed by a cover profile.